We all enjoy a good laugh once in a while. It’s healthy, it’s stress-repellent and it boosts our mood. 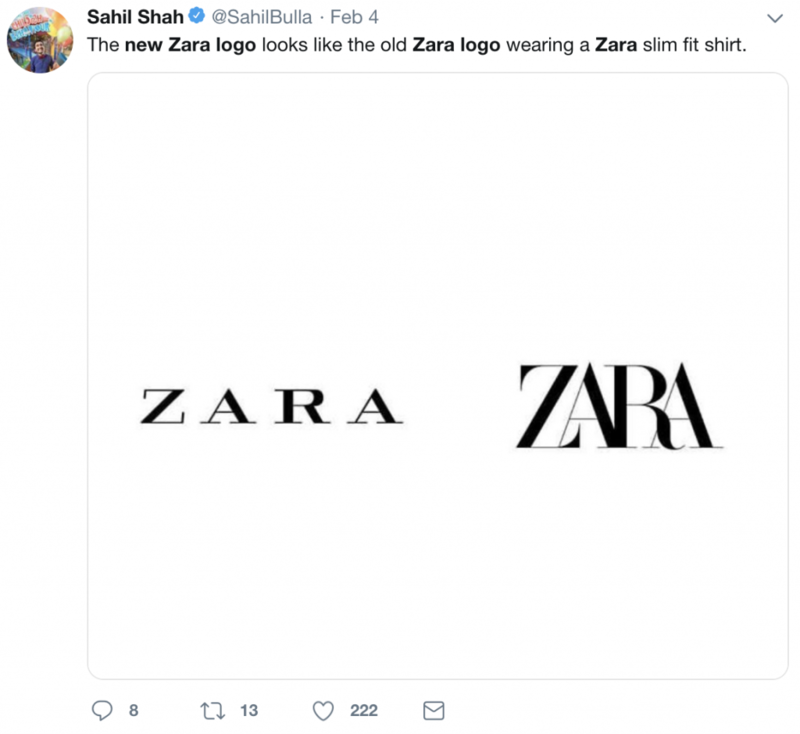 The latest online jokes feature the new ZARA logo and sure did put a smile on our faces. 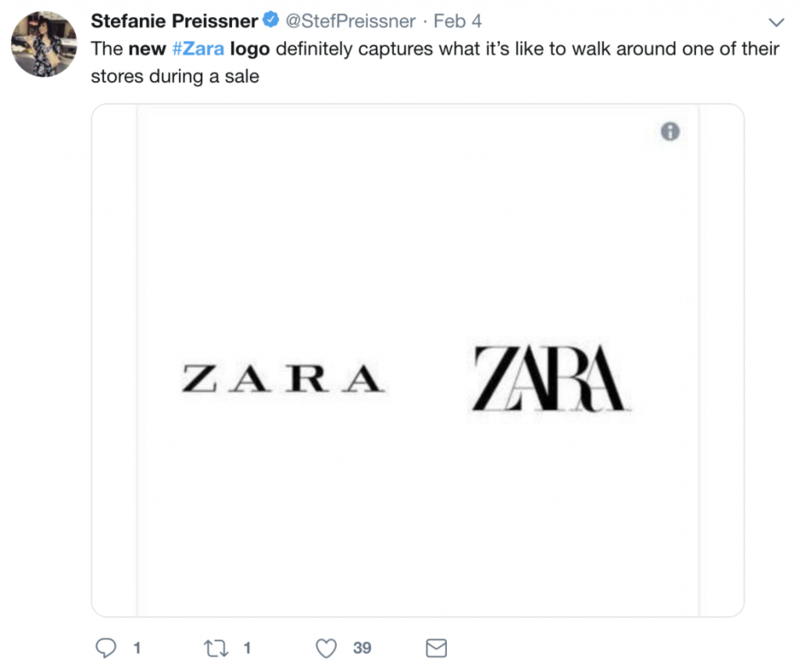 In case you missed out the news, ZARA rebranded itself at the end of January and ambushed us with a new logo. After eight years of glory, the old breezy and minimalistic logo retired. Designed by the French agency Baron & Baron, the new one already managed to create a controversy around it. Everybody was suddenly wondering: where did the space between the letters disappear? And, the most important matter of all: will this new logo survive? Fabien Baron, the creative mind who designed this new logo, used his signature style. 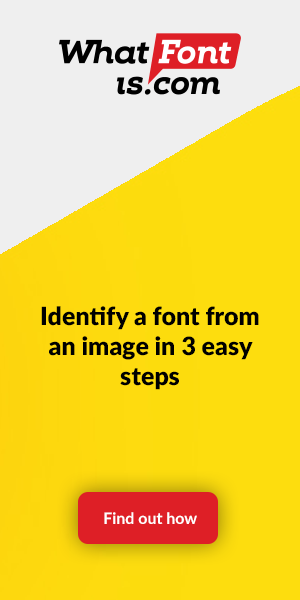 The four letters are written in all caps, using the serif DIDOT LT PRO font. And shocker, there are no spaces between them! This new logo looks like it’s about to drop a solo performance of `I want to break free`. Why did ZARA changed its logo? 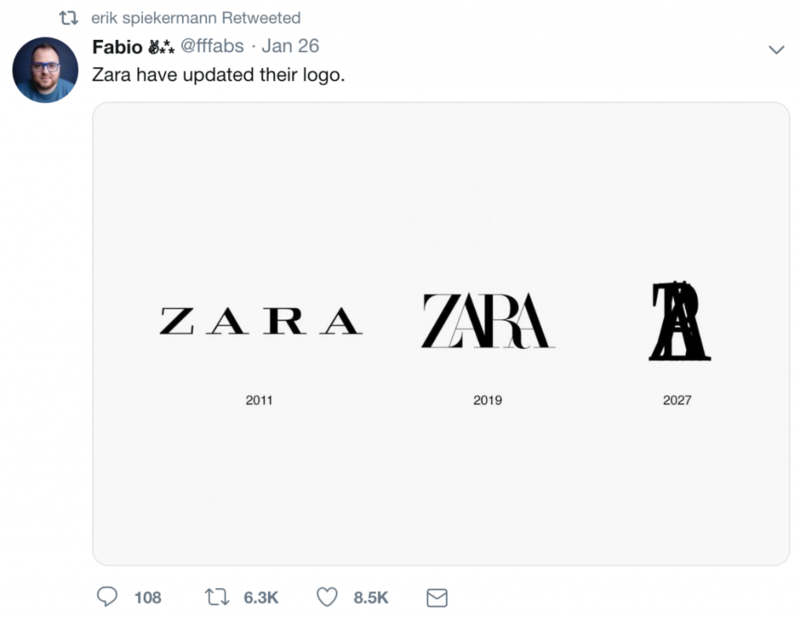 The whole idea behind using this font was to help ZARA reestablish its spot amongst the high-end brands such as Dior, Margiela or Bottega Veneta. Some graphic designers might even say it did the exact opposite. On the other hand, others think that these types of fonts represent the future of fashion branding. But who’s right and who’s wrong? 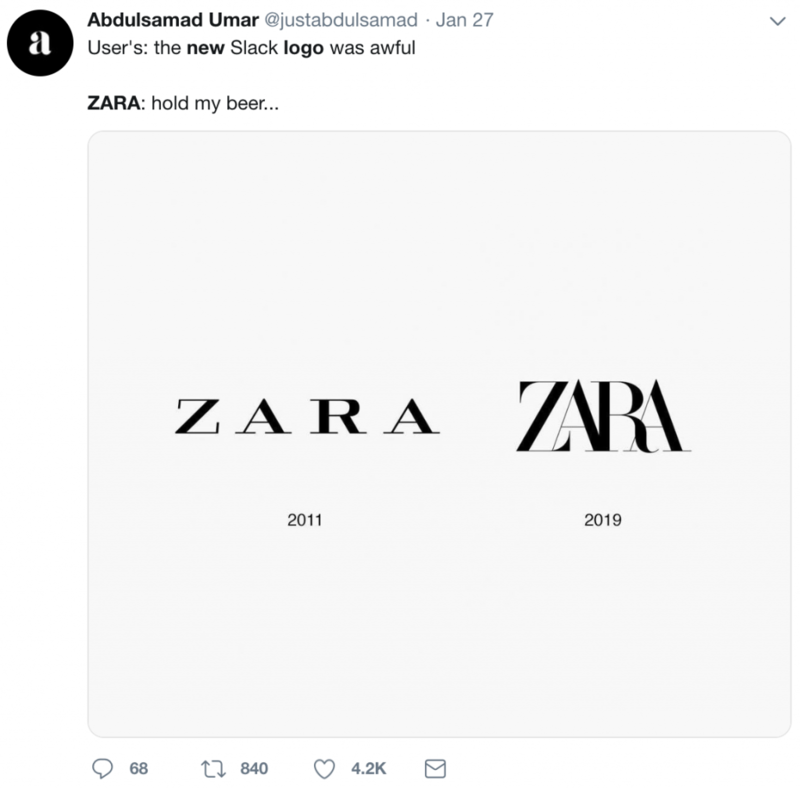 Probably the funniest one, this guy showed us how the future might look for the Zara logo. Pretty accurate, right? We all know the feeling of trying to squeeze in smaller clothes. Some found a new interpretation for this change and we couldn’t agree more! We wouldn’t call this awful, but there’s just something not right with it. All in all, we think that this new logo font is more appropriate when it comes to magazines. The minute we saw it, we instantly thought about Harper’s Bazaar. If you like this new logo, check out the DIDOT font family on our website. You can chose from 196 different DIDOT fonts.